We recognise that in some cases, quality first teaching alone is not enough to fully meet the needs of our children and young people . In these instances, Springwell Leeds Academy may implement a range of specific and targeted therapeutic interventions, designed to meet individual needs. 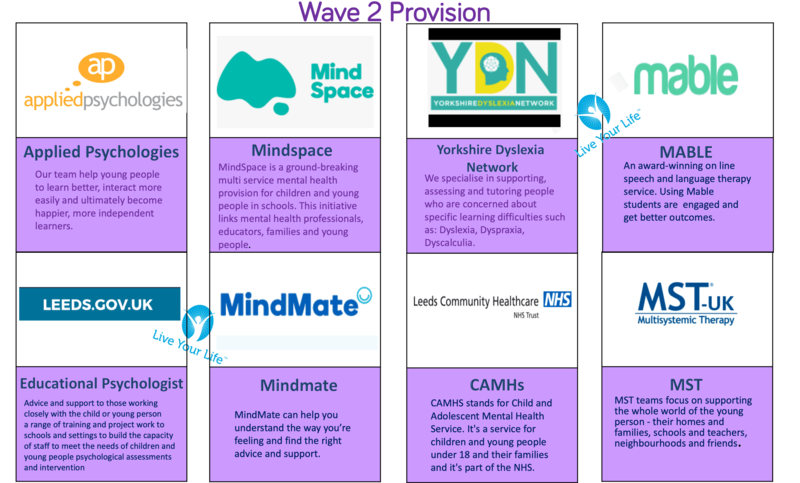 If your child has been identified as potentially benefitting from one of these additional services, you will be contacted by a member of staff, usually the SENCO from your child’s site, who will discuss it in detail with you.